Matthew and Kyle Abeysinghe could not qualify for the final of the 50m Freestyle event at the Asian Games 2018, having failed to make the cut during their heats a short while ago. 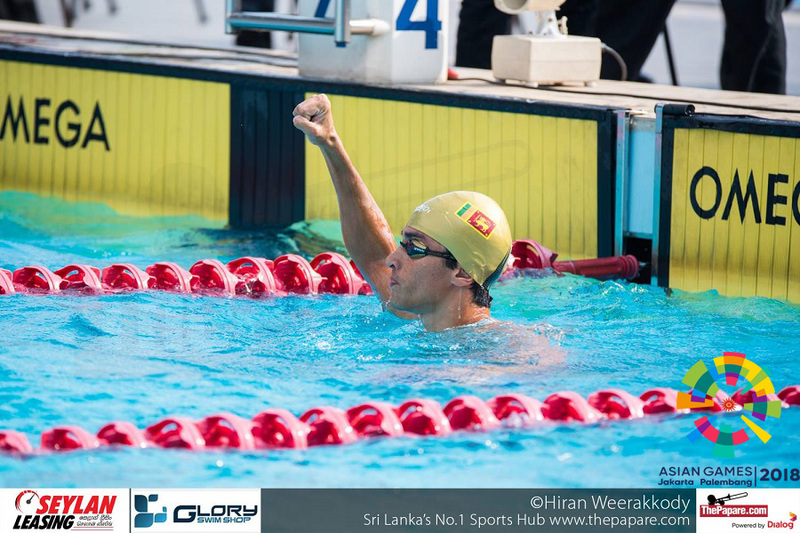 Matthew Abeysinghe, the current National Record holder (22.65sec) in the 50m Freestyle, performed this feat in April 2018, at the Gold Coast Commonwealth Games. Swimming in heat 6, Matthew finished 5th in his heat and 12th overall. Youth Olympic Silver medalist, Kyle Abeysinghe followed Matthew’s heat in heat 7. 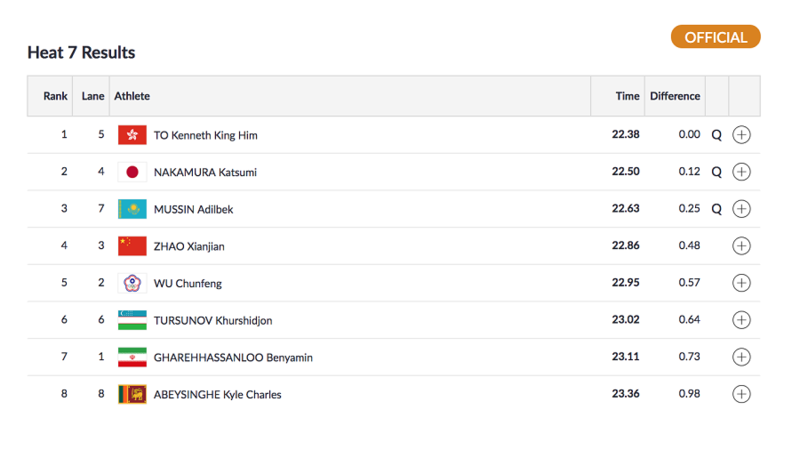 This was Kyle’s debut run at the Asian Games. Heat 7 was dominated by King Him To of Hong Kong with 22.38 and a perfect take off of 0.00 seconds. 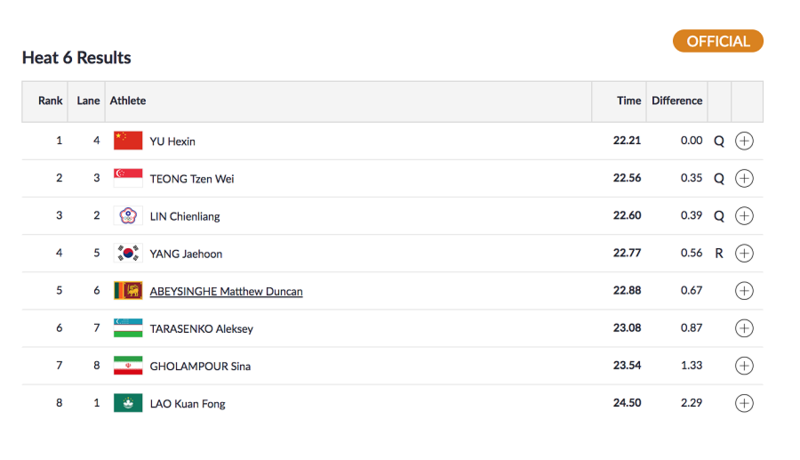 Matthew finished 12th in the overall standings behind Xianjian Zhao of China who finished a spot above with a mere difference of .02 seconds. Kyle will take home a 20th place finish. 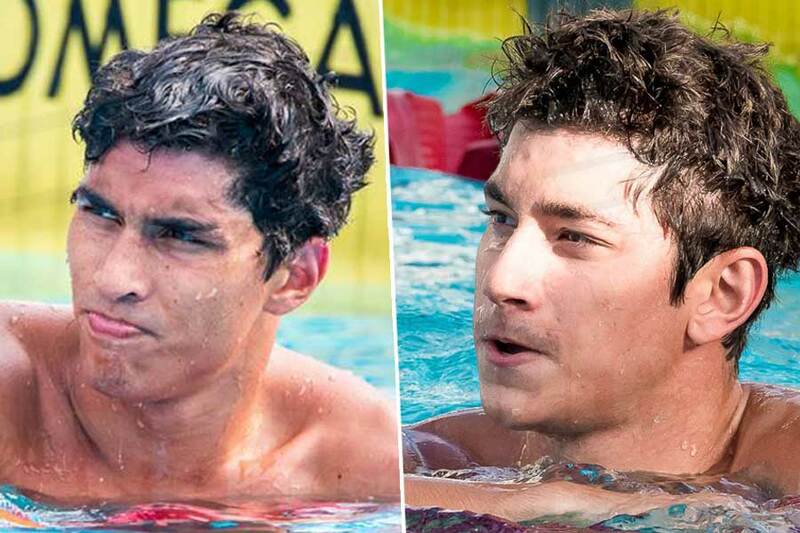 Both brothers will return to the GBK Aquatic Center tomorrow for the most awaited 4x100m Freestyle relay. 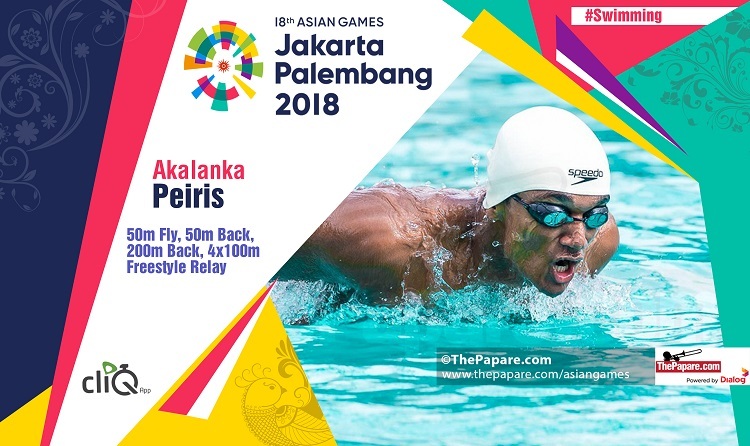 Keep it logged on to ThePapare.com to stay updated on the swimmers journey in the Asian Games 2018.